Meet Hannah + Charlie Lucas! 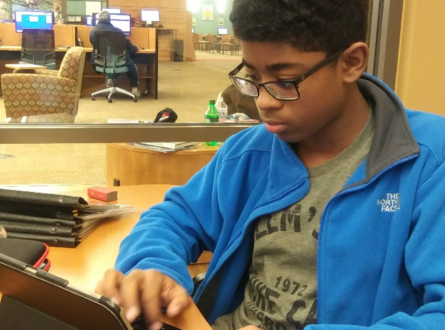 Keeping up with grades, navigating your way through a harsh social scene, parents constantly applying pressure for perfection…when does it ever stop? As a student, the pressures of life can quickly build-up and invite a “you against the world” mentality. We have all been there–typed out a text message asking for emotional or physical support, only to delete it before sending. 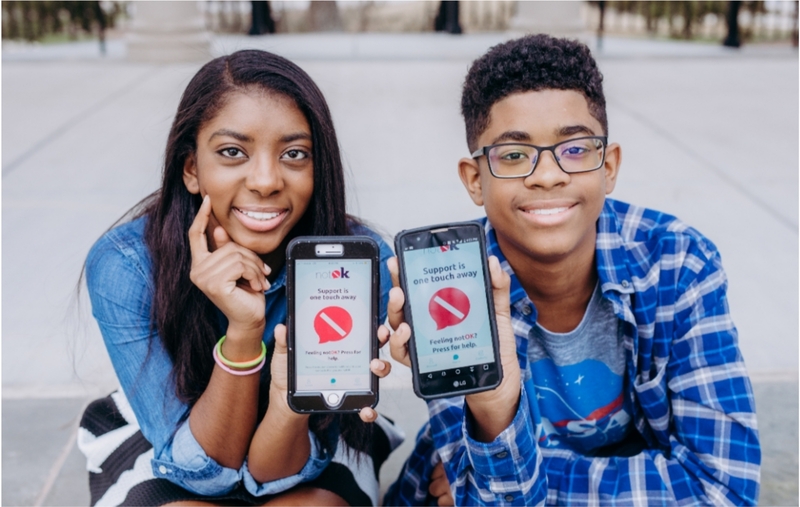 Teen entrepreneurs Hannah and Charlie Lucas are redefining the power of mental health while creating a fresh platform with their new app notOK™. Recently winning the NAMI Young Leader Award (National Alliance in Mental Illness), the fearless siblings are snatching away any shame that’s accompanied with asking for help. Just last year Hannah was fainting so much that she missed 70% of the school year due to a rare disease called POTS. While she was there she constantly got bullied and even threatened (by a fellow student) that she would be taken advantage of the next time she passed out in school. Being scared was a permanent state of mind. After becoming severely depressed and even attempting suicide, Hannah’s little brother Charlie stepped in to help her change things. 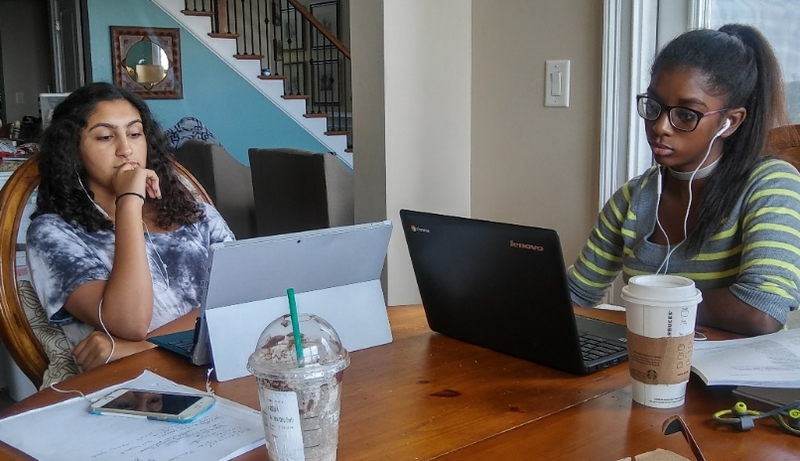 The two searched for apps that helped teens in their time of distress. They didn’t find any so they created their own- the notOK app. 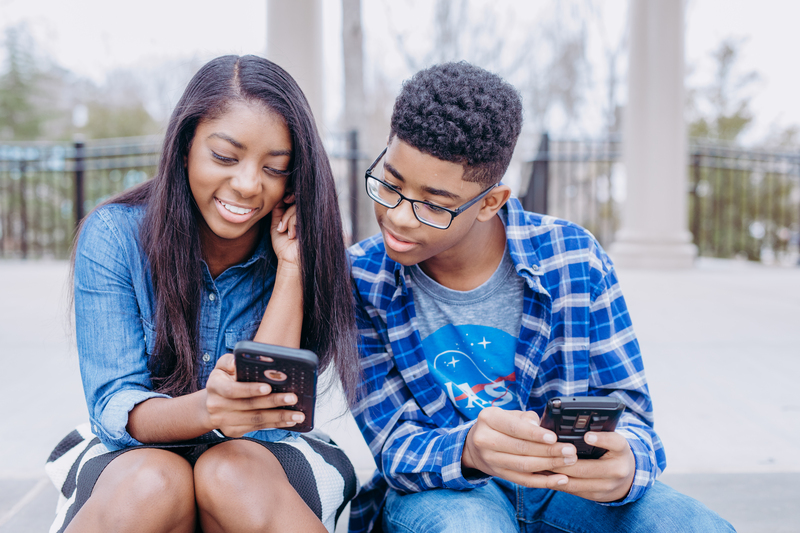 In just a few months after launch, these inspirational tech siblings have been gaining massive attention with over 49k downloads in just 3 months. They are working with Thrive NYC to implement a program in NYC schools next year and even scored their first investor. 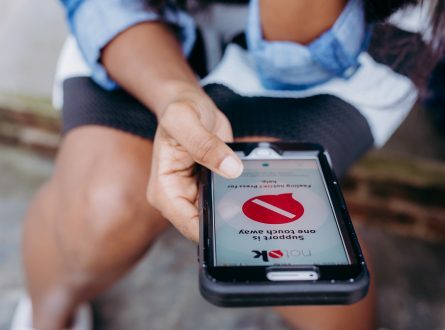 To use notOK™, simply open the app, tap the red button and a text message will be sent to up to 5 pre-selected contacts that reads: “Hey, I’m not OK. Please call me, text me, or come find me,” along with a link to your current GPS location. Whether you’re a teen or an adult suffering from loneliness, anxiety, depression, stress, suicidal thoughts, or anything else, immediate help is only the tap of a button away.You no longer have to suffer alone. Help is closer than you think! The notOK app is beyond brilliant and is blazing the way for teens to tap into mental health. Why was it important to create a platform that not only allowed both of you to overcome personal struggles but other teens as well? It’s important to create a platform that allows people to have open discussions about the difficult topics. In having these difficult conversations, it suddenly makes it OK to be notOK. And it gives people the opportunity to answer some of the less talked about questions. Hannah, due to having POTS caused you to miss 70% of the school year which led to bullying. How were you able to shift your energy from a negative situation into a positive solution? To be honest, I don’t think I would’ve been able to shift my perspective if it weren’t for the help of a therapist. When I first started going to therapy, I’m not going to lie, I was obnoxiously sarcastic. I just wanted to get out of there as fast as possible. When I started working on notOK I finally saw hope again. At that point I started to take my therapist seriously because something clicked inside and I realized that she was there to help me not harm me. Charlie, seeing your older sister having to overcome obstacles could have caused you to feel a bit helpless. What motivated you to use your strengths + talents to be there for her? Well helplessness was a key factor in getting me to this breaking point, where I couldn’t do anything anymore so when Hannah gave me her idea I leaped at the chance to help her. Unfortunately, a lot of time teen mental health or stress isn’t taken as serious as it should be. It is labeled as “growing pains” or even being “dramatic”. 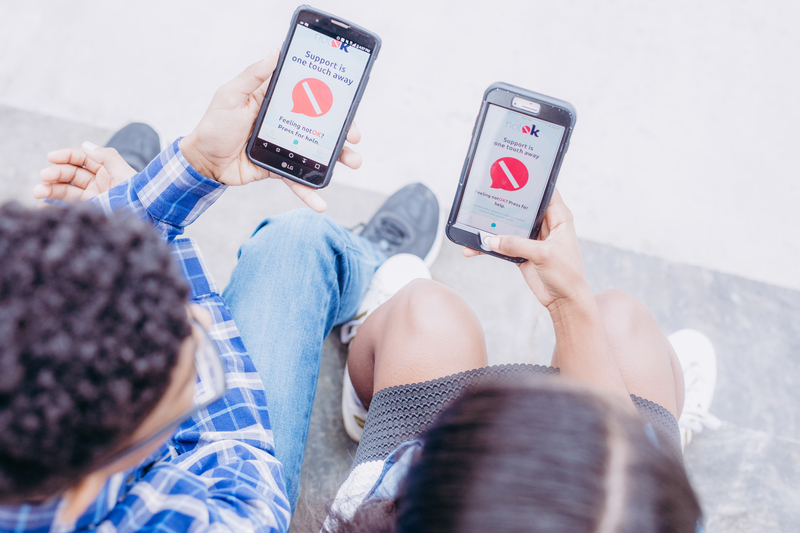 How does the notOK app make it clear of the pressures teens deal with on a daily basis? notOK is designed to destigmatize mental health. In doing so, all alerts should be received as urgent. The trusted contacts should keep in mind that even though it seems small, to the user, it could be life altering. Being notOK means something different for each individual person. 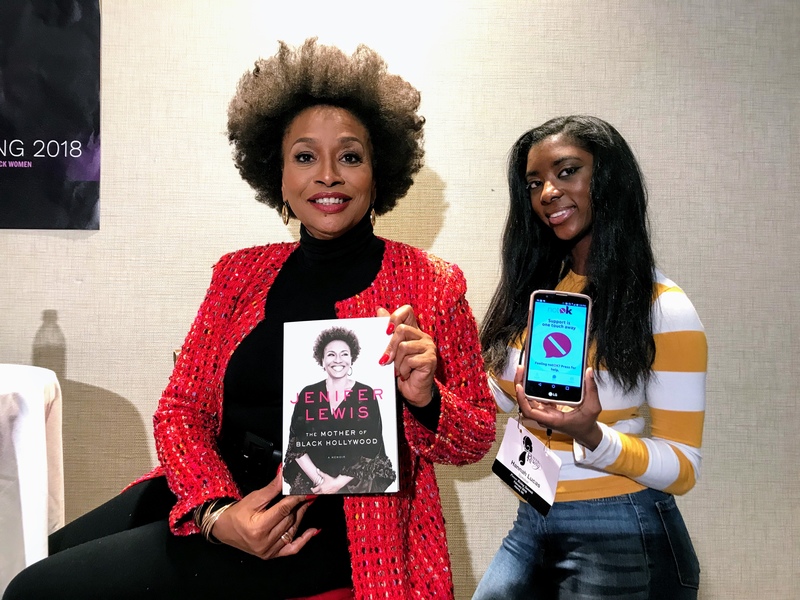 Mental health can be looked as a “weakness” when it comes to teens of color, how can we shift that stereotype and push diversity in this area? In order to shift that stereotype, you have to start thinking of mental health as physical health. You have yearly check-ups for your physical but just ignore your mental health. When you really think about it mental health is just the chemicals in your body that make you feel or think a certain way. Thinking about it this way often helps people be more understanding towards those struggling with their mental health. Personally, I love to exercise. Whenever I feel a bit overwhelmed I just hop on my bike and ride around for a while. This is a great way to release all of the tension in my body and also keep in shape. Empowerment to me means having a hope for the future and having the power to achieve that future. Empowerment means the hope of rights and equality for everyone, Empowerment means the hope of peace to me, Empowerment is the feeling of when the nation gets together to stop the injustices that happen within it. Hannah: Trevor Jackson without a question!!! Charlie:Brendan Urie, Ben Platt, Pitbull, and Last but definitely not least,*drumroll* BEYONCE. Hannah: Black Panther hands down!!! This entry was posted on Tuesday, June 26th, 2018 at 1:41 am	and is filed under Feature, Latest.